National health insurer Anthem reported higher profit in the second quarter of 2018 after raising premiums and keeping medical costs in check. The Indianapolis-based insurer also grew membership in Medicare Advantage—a key focus area of Anthem's—while recording fewer customers enrolled in individual ACA plans and Medicaid. "We are pleased with our second quarter 2018 financial performance, which demonstrates our ongoing commitment to delivering strong medical cost performance and innovative healthcare solutions to our members," Anthem CEO Gail Boudreaux said in the earnings announcement. Slashing its footprint on the ACA exchanges has helped Anthem hold down medical costs. Boudreaux said during a conference call with investment analysts on Wednesday that although its individual book of business is performing well, the insurer has no plans to expand in a major way. Anthem may expand its individual business into some new counties in 2019, but will largely focus on the areas where it already serves those members, Boudreaux said. Medicare Advantage is another story. In the last seven months, Anthem grew its Advantage membership through the acquisitions of Florida-based plans Health Sun and America's 1st Choice. Now it's gearing up to grow membership by enrolling more members where it's already operating while also expanding into nearby counties in 2019, with a focus on serving both group Advantage members and the medically complex dual-eligible population. "We expect to increase our county footprint meaningfully in 2019, but in aggregate the largest source of near-term growth resides in our ability to go deeper and get stronger in the regions where we currently operate," Boudreaux said. In the three months ended June 30, Anthem reported net income of $1.1 billion on revenues of $22.9 billion. It reported profit of $855.3 million on revenues of $22.4 billion during the same quarter in 2017. Profit increased 23.2% over the prior year quarter, while revenue was up 2.4%. 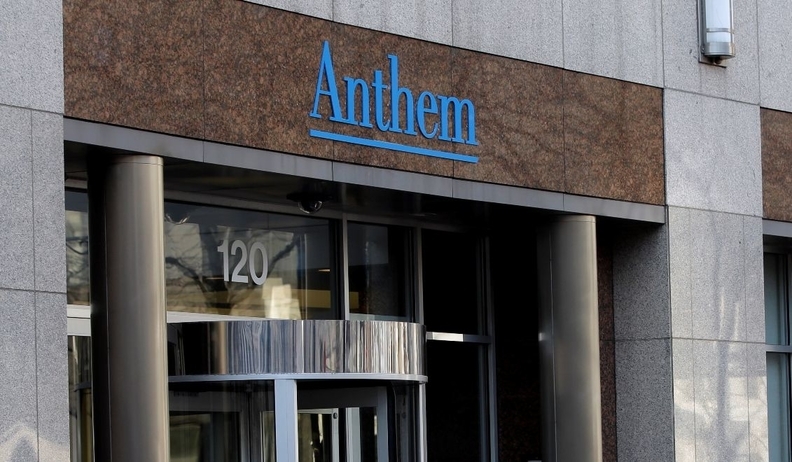 Anthem said it increased premiums to cover costs. Its premium revenue was up 2.1% to $21.2 billion, while revenue from administrative fees grew 5.9% to $1.5 billion year over year. The insurer reported a medical loss ratio—the amount per premium dollar used to pay claims and improve healthcare quality—of 83.4%, an improvement over 86.1% in the same quarter a year ago. The lower the loss ratio, the better for the insurer. Anthem attributed the decrease to its ability to control medical costs, as well as the return of the health insurer tax in 2018. Anthem's membership decreased during the quarter. It reported losing members in the individual ACA-compliant market, as expected, and Medicaid. The insurer slashed its footprint in the ACA insurance exchanges in 2018 and now serves 712,000 individual members, a 60% decrease from the 1.8 million it served during the same quarter a year ago. Anthem's Medicaid membership decreased 2.1% to 6.4 million in the quarter. Officials attributed the decrease to the improving economy and the result of some states re-determining if current Medicaid beneficiaries meet eligibility requirements. The number of large, national employers Anthem served remained largely flat at 7.8 million. Medicare was a bright spot, with enrollment up 17.1% year over year to more than 1.7 million, thanks to the acquisitions of the two Florida Advantage plans. In total, Anthem's membership was 39.5 million members at the end of the second quarter, down 2.2% from the same quarter in 2017.